Boy’s classes are FREE to all boys who enroll for ballet and are placed in Ballet 1B or lower. Young men dancing at a level of 2A and higher will be given a Scholarship to offset the majority of their tuition and once they reach the 2A or higher level they get an additional 30 minute class each week for boys only. 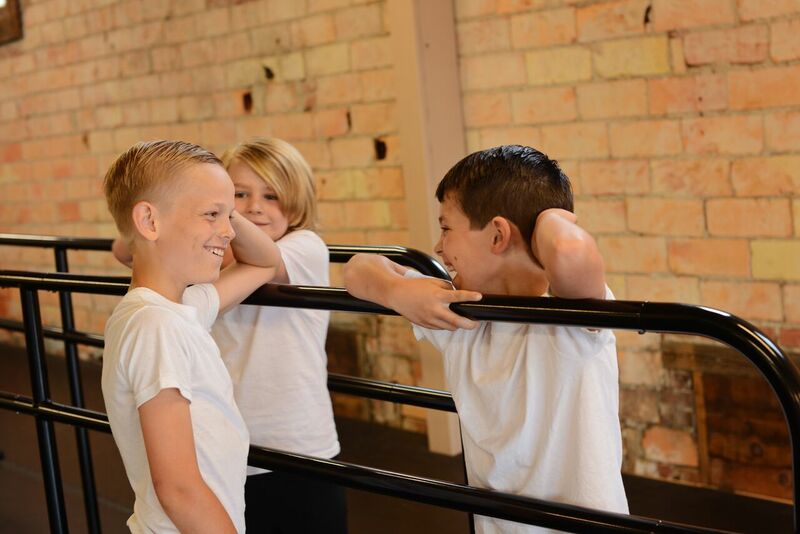 Boys enrolled in ballet will also get the 20% discount on any supplementary classes they enroll for. $25 Registration Fee is still required. Boys in 2A and higher will be required to attend ALL scheduled classes for their level to be eligible for the scholarship. These boys classes began as a trial program and one we feel was successful and will continue to support. Our goal is to encourage young men to consider dance as an option for exercise and to get rid of the stigma that is sometimes attached to entering the field of dance. Boys and young men are vital to performances and productions. We hope to nurture younger male dancers and help them grow with our dance program so that as they get older they see the value in dance and will be available to do more advanced things such as partnering. If you are interested in attending or want more information please send an email to info@mankatoballet.org. Boys attending theme classes, itty bitty classes, or stage to studio classes are not eligible for free tuition at this time.